US President Donald Trump’s decision to leave the Iran deal represents his third strike against the European economy in half a year and will add more volatility in an already difficult period. As EU institutions are debating whether Europe’s economic growth is nearing the end of the cycle after years of robust recovery, Trump’s announcement has fuelled oil prices and increased the uncertainty for European companies doing business with Iran. 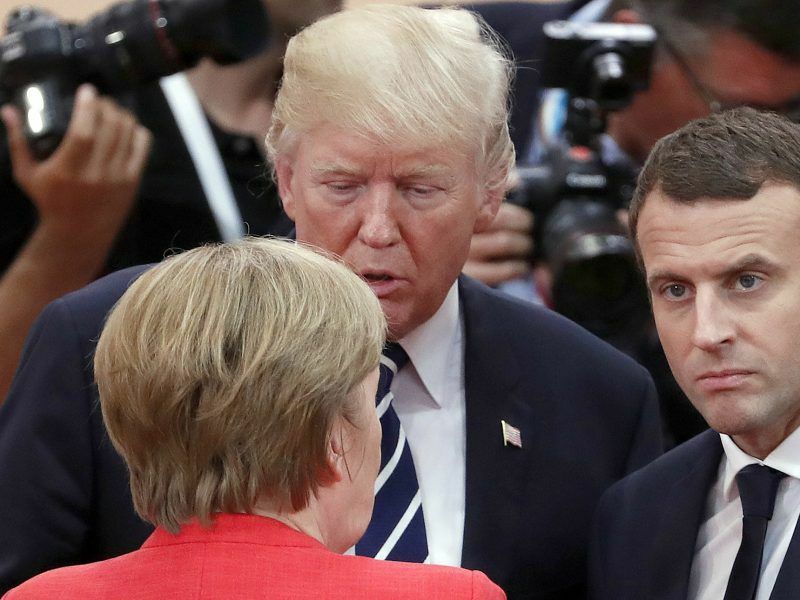 The decision came amid a trade dispute between the US and other large economies, including the EU and China, and followed the fiscal stimulus passed by Washington last autumn, seen as a potential risk on this side of the Atlantic. The European Commission expected last week the eurozone economy to grow 2.3% this year and 2% in 2019. But in contrast with previous forecasts, the Commission did not review upwards the figure. 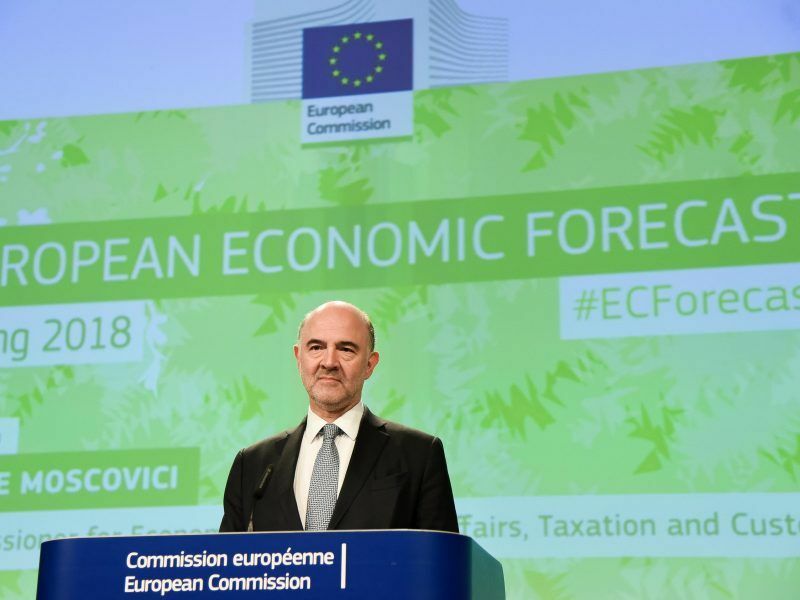 The Commissioner for Economic Affairs, Pierre Moscovici, noted the “slowdown” of the output but said the growth remained “robust”. In its forecast, the Commission strongly revised upwards the oil prices (Brent) to an average of $67.7 per barrel in 2018 and $63.9 in 2019, a 21.5% and 16.8% increase compared to its November forecast. But rumours about a potential breakdown of the Iran deal and additional geopolitical turbulence, especially political instability in Venezuela, have sent Brent crude prices above the Commission’s reference price since early April. On Wednesday (9 May), prices went up by 2.81% to reach $76. Analysts expect oil prices to remain at this level or higher in the coming months. The Commission declined to estimate what could be the impact of higher oil prices on the European economy or its labour market. “The Spring Forecast, published last week, notes that oil prices have been quite volatile in the first quarter of 2018 and that the current volatility is likely to persist in 2018, as uncertainties about the oil price outlook have increased,” a Commission spokesperson said. But EU countries struggling to balance their public accounts have crunched the numbers in a worsened scenario in their draft budgetary plans sent to the Commission this spring. The Spanish government estimated that if the barrel price grew to 75$, it could result in a -0.7% decrease of the GDP and 150.000 job losses. If the oil prices stabilise around $82, the Spanish economy could lose 3.8% of GDP over the 2018-2021 period and 550.000 jobs would disappear. 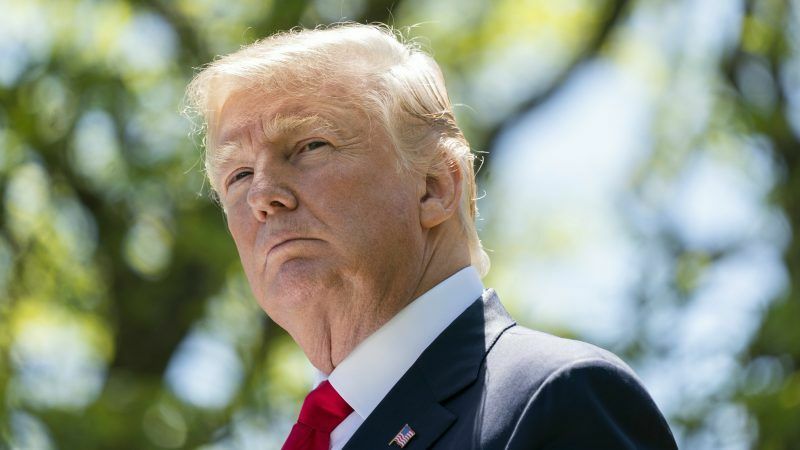 The European economy is expected to continue growing at a robust pace, but faces negative spillovers from the fiscal stimulus and trade restrictions adopted by US President Donald Trump, the European Commission warned on Thursday (3 May). This is the third decision taken by Trump since last autumn that is threatening the global economy, in particular, the European expansion. Moscovici warned last week that Washington’s fiscal stimulus and Trump’s protectionism represented a “dangerous nexus”. Moreover, the Commission warned in its forecast that if the global value chain is disrupted because of the trade conflict, the European expansion could be thrown “off track”. 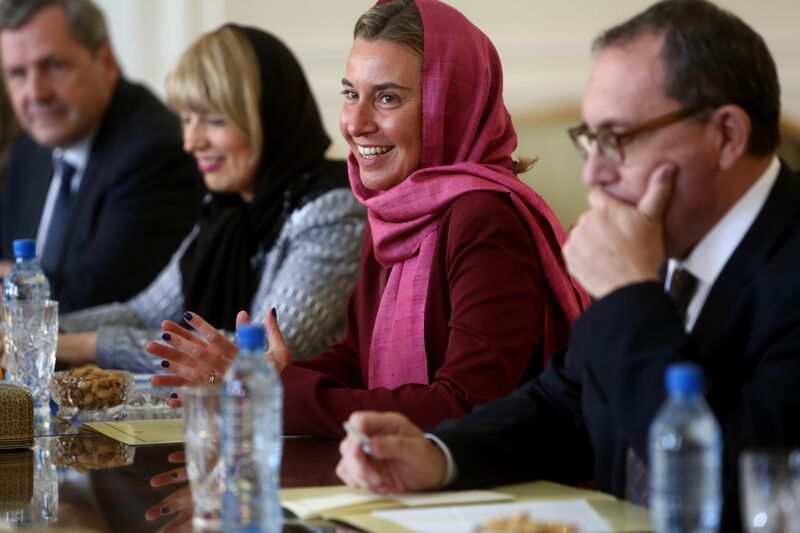 Eight European Commissioners will make a landmark visit to Iran on 16 April, an announcement which comes on the same week that member states extended a raft of targeted sanctions against the country for its poor human rights record. European companies will also be impacted by Trump’s Iran decision, as they will have six months to cease all activities with Iran or face US sanctions. “US sanctions will target critical sectors of Iran’s economy. German companies doing business in Iran should wind down operations immediately,” said the new ambassador to Berlin, Richard Grenell, on Twitter. It remains to be seen how the US will apply the sanctions and what mechanisms the Europeans could set up to protect their firms. US Secretary of Treasure, Steve Mnuchin, said the US Administration would pursue action under primary and secondary sanctions authorities, so European firms with investments or operations in the US could be hit if they maintain their links with Iran. Airbus, Siemens, Peugeot-Citroen, Renault, Total, Eni, Danieli are among the companies affected. The European Commission will undertake a first “technical assessment mission” in February to explore energy ties with Iran following the lifting of international sanctions, European Climate and Energy Commissioner Miguel Arias Cañete said on Sunday (17 January). “At this moment it is not easy to quantify the possible economic impact of the US withdrawal on European business activity,” said Emma Marcegaglia, the president of BusinessEurope, the largest EU business association. Marcegaglia said companies need “legal clarity”, but expected the EU institutions and European governments to help the European businesses deal with “the uncertainty and its negative consequences”. The Commission said that it is working on plans to protect “the interests of the European companies”. 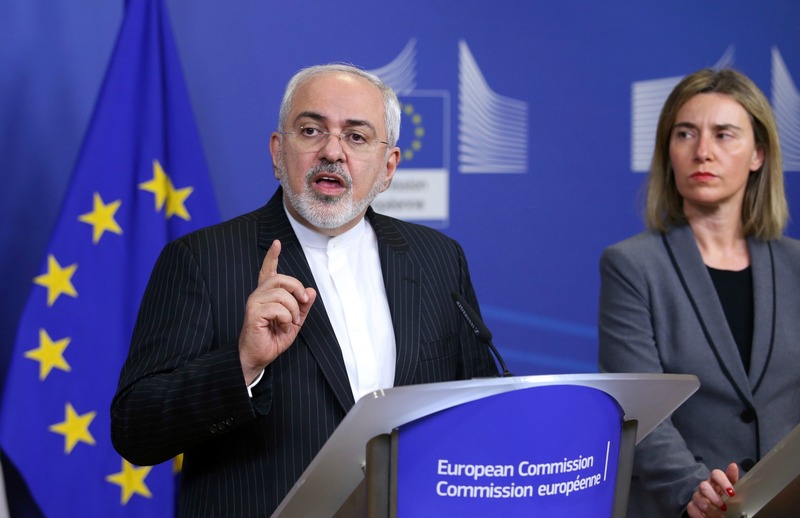 The nuclear deal “is not a bilateral agreement and it is not in the hands of any single country to terminate it unilaterally,” the EU foreign affairs chief Federica Mogherini said in a statement. Cornelius Adebahr, a fellow at Carnegie Europe, told Bloomberg that the EU could establish euro-denominated credit lines and clearing-houses that can green-light legitimate business with Iran. For Grégory Claeys, a research fellow at Bruegel, the impact of higher oil prices could be limited, as the euro will be higher than expected. “The two effects could compensate thanks to a strong euro,” he told EURACTIV. But he warned of the “fragility” of the European expansion. The EU’s economy is “very vulnerable”, given its dependency on external demand, the internal demand is “still suffering, he said. The diminishing vigour of the European output sparked a debate in the ECB and in the European Commission on whether the bloc is nearing the end of the expansion cycle. However, both institutions concluded that the “loss of momentum” in the economic activity was due primarily to temporary factors. 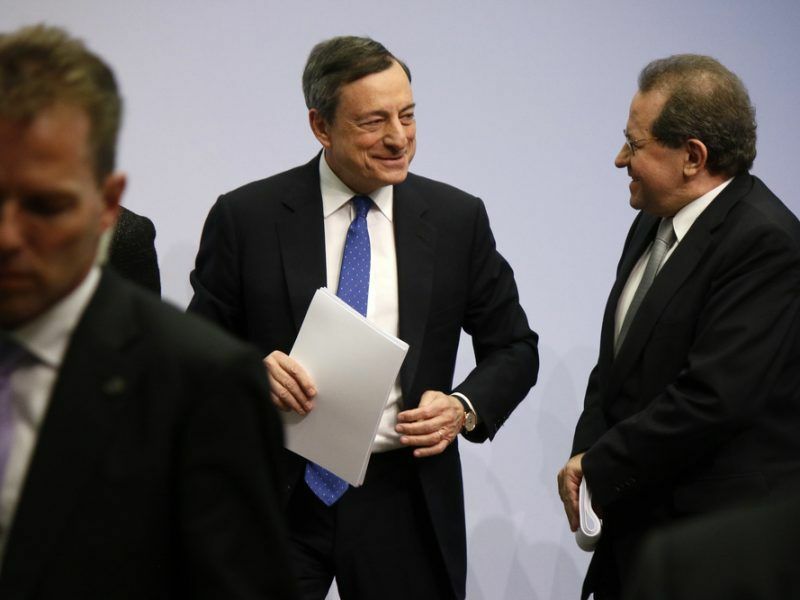 ECB President Mario Draghi said on Thursday (26 April) that all eurozone countries experienced “some moderation in growth or loss of momentum” over the past weeks, as the institution is carefully reassessing how to exit the unconventional monetary measures adopted during the crisis.